With Jemma, I was due October 9th. With Max, August 10th. In those pregnancies I pretty much knew that I’d have an October baby and an August baby. But this little guy, well, I’m due December 28th. To me, a believer in guess dates (versus due dates), I could definitely have a December baby. But, I could also easily have a January baby. From the beginning I’ve had a feeling he will come in December. So much so that I bought both grandmas December birthstone bars to add to their grandchildren mementos from KEEP. But now I’ve entered the phase of pregnancy where I’m tired and done and really just want to snuggle my little boy. That’s when I begin mentally preparing for a 42 weeker. 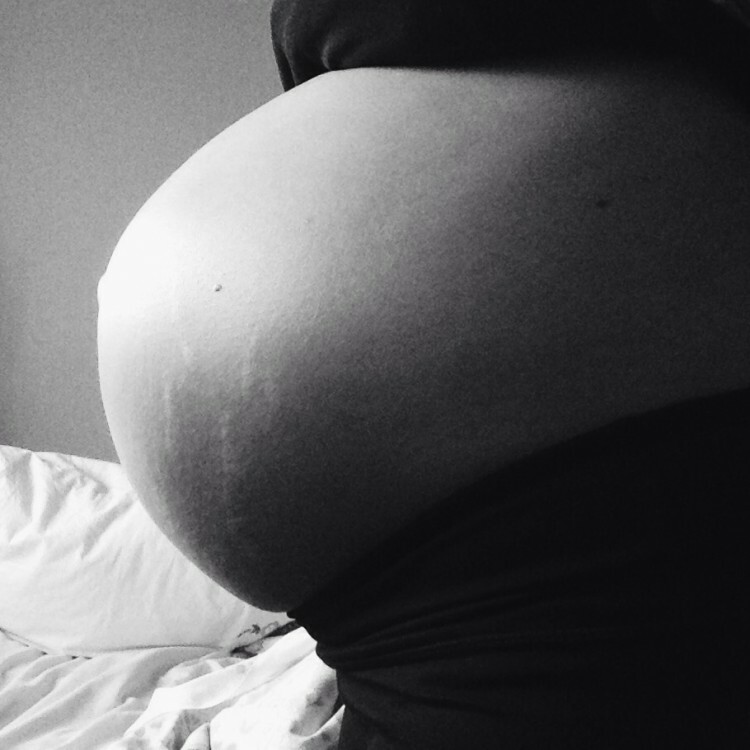 On Monday I’m 37 weeks; full-term and technically home birth approved. For a home birth I can be anywhere from 37-42 weeks … so, December 7th through January 11th is my birth window. And I’m just unsure. I want to have a sense of how we’re doing, how things are moving along and I just don’t. It’s hard with Christmas smack in the middle of things. It’s hard when I’ve been bit by the nesting bug and thus, have a mile long to do list of random projects on my radar. Pretty much, I just don’t know if I’ll relax enough to have a December baby. I’m a planner by nature and honestly wonder sometimes how I didn’t end up in the scheduled cesarean boat. It’s so me to want to plan and know and be in control. And, with a former 10 pound baby who got a little stuck I could probably find reason for a cesarean. But, I’m pressing forward with my home birth plans and the unknown. I need the care of my midwife and my own home to rock this birth; more than I need to know if I’ll become a mother of three in December or January. So, as I measure ahead and add stretch marks on the daily, I’m making it my focus to find a calm space in my mind. To forget today’s date and to just take care of my body. And my baby. He’ll arrive at the perfect time on the perfect day and I’m choosing to be content with that … no matter what month that perfect birth day falls on. The Better Question --- What Can I Give? Fingers crossed your little additional tax credit arrives this year! Rock that home birth mama!